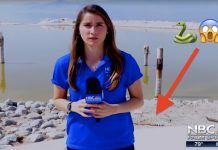 Home Desert Life Weird Desert The desert is home to an International Banana Museum. No, seriously. When one thinks of the desert, the first thing that comes to mind is, of course, a banana museum. 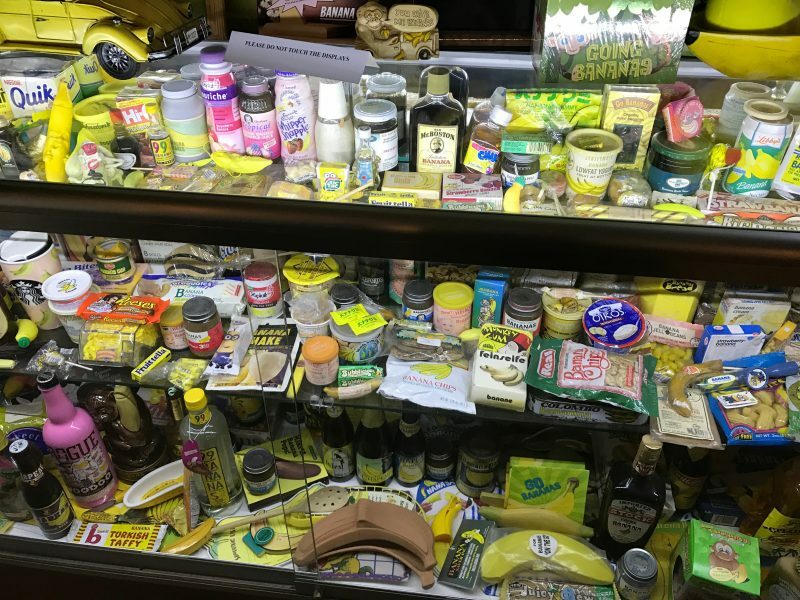 The International Banana Museum in North Shore near the Salton Sea is home to over 20,000 banana related items. 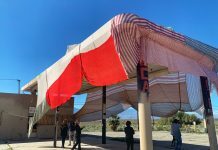 I know this because I stopped in on my way home from Salvation Mountain and I counted every single one of them. More on the inside in a moment. The moment you pull up to the place, you are greeted by a piece from Robolights creator (and destroyer of things you love), Kenny Irwin. 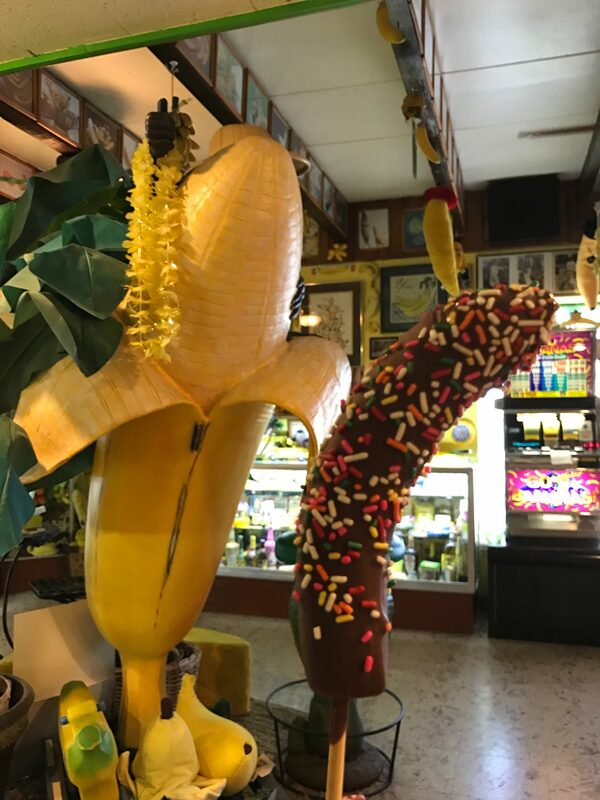 I mean sure, it’s not a banana, but they make up for that once you are inside. There is a small admission fee, which is waved if you buy something. 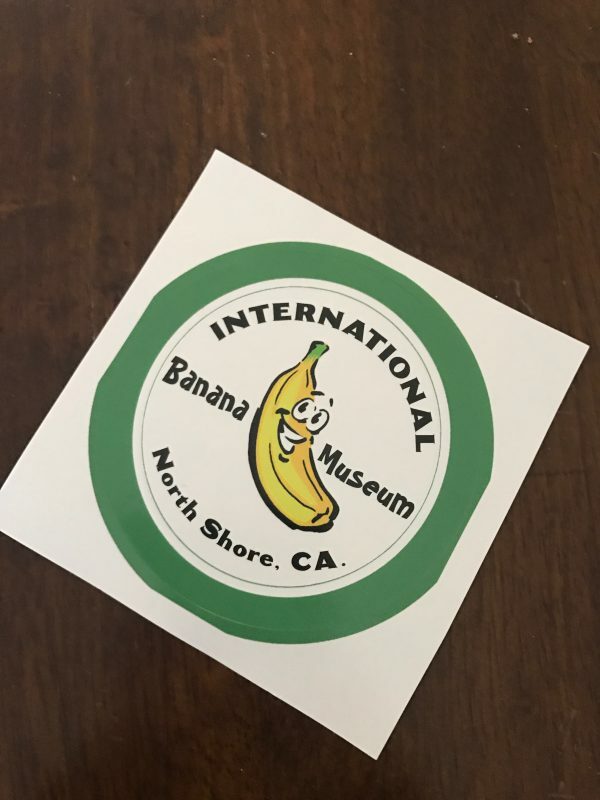 I bought a sticker, while my wife opted for a chocolate-covered frozen banana. 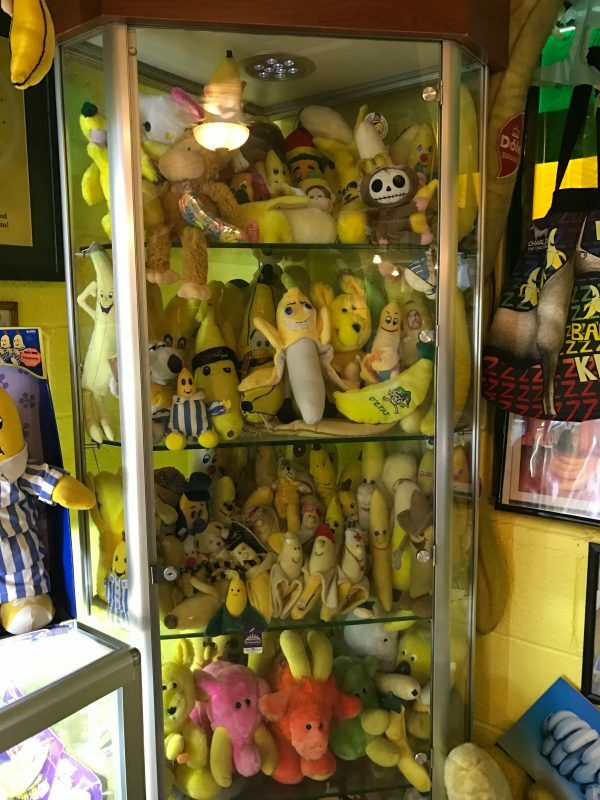 They also have banana shakes, banana soda ice cream floats, banana splits, and a ton of other banana treats that you can enjoy while looking at the plethora of banana memorabilia inside the place. 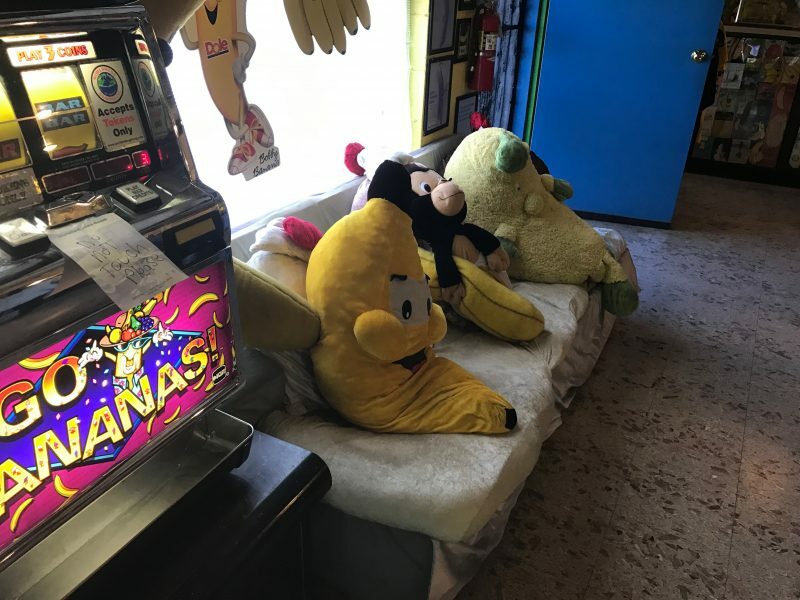 According to their website, you will find everything from banana jewelry to banana un tan lotion to banana guns to a record player that’s shaped like, you guess it, a freakin’ banana. There are also bananas made from stone, glass, plastic, metal, alabaster, paper machet, resin, wood and jade. 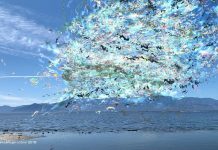 Guests have told me that there are so many items that they find it hard to absorb it all!!! 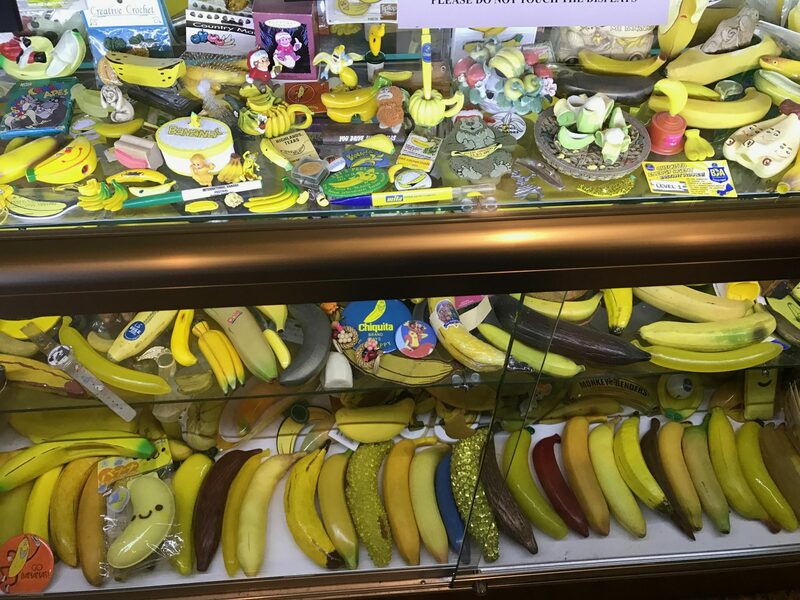 Seriously, there are so many banana things!!! 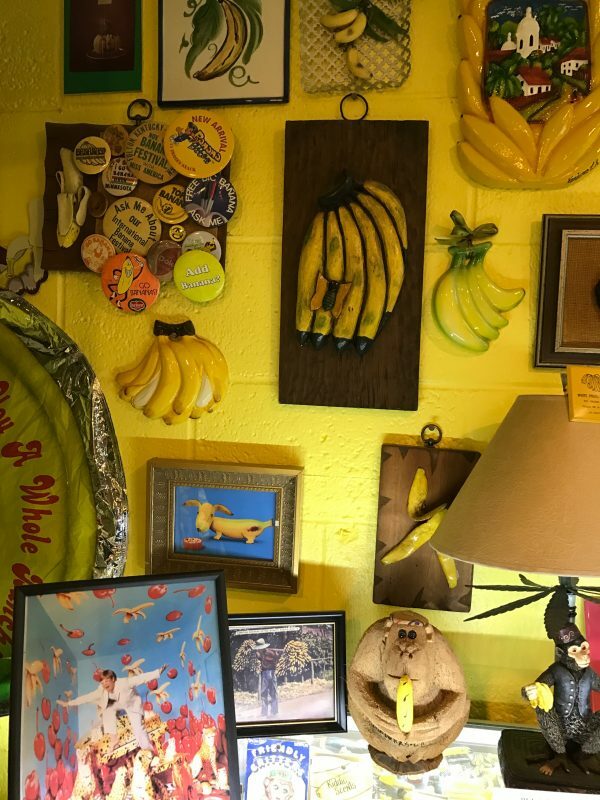 In addition to all of the bananas, you will almost always find owners Fred and Kim Garbutt on site and with plenty of banana stories, jokes, and puns. 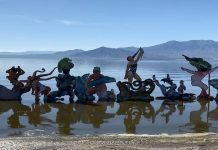 But, if you plan on going, you might want to call ahead, as their hours are limited – especially during the hot summer months. 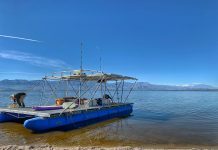 You can reach the place at (619) 840-1429. 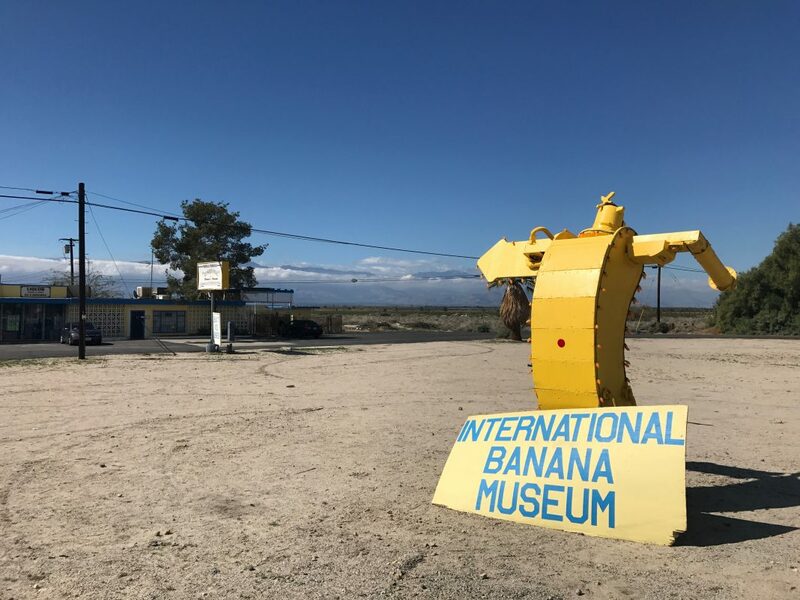 The International Banana Museum is located at 98775 Highway 111 in Mecca. You can learn more about the place here.